Cool kicks, yep. Tattoos, yep. Soy chai lattes, nope. 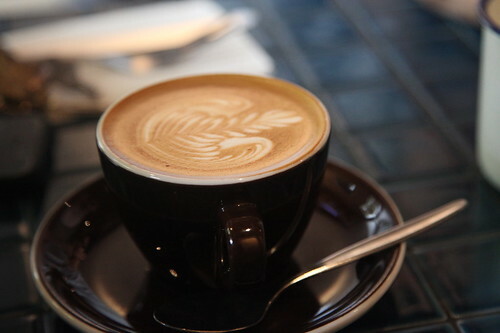 If you’re a lover of teas and chai lattes, Reuben Hills isn’t your scene, it’s for the caffeine enthusiasts, or unless a fresh juice or milkshake takes your fancy. Reuben Hills is an industrial inspired coffee roastery, stripped out bare with back to basics enamel tin mugs, mosaic tables, polished cement floors and lit with both sunlight and neon beams. 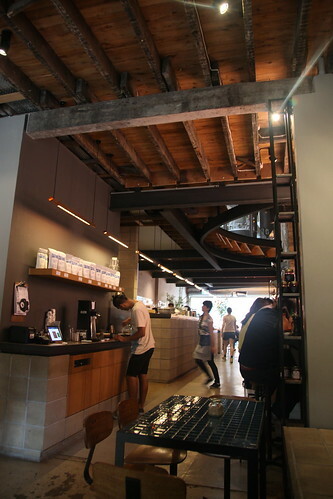 Don’t forget to look up where there is an amazing cut out to peer into the roastery. 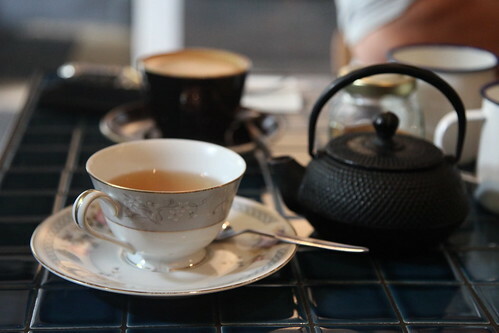 Wishing I practiced what I preach, the mint and lavender tea is sweet smelling, but the taste is definitely much more of the acquired taste. Coffee is clearly king on the table. 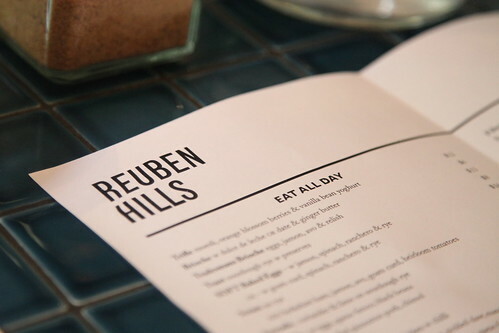 The Reuben Hills menu has a Latin American flavour with a great mix of brunching and lunching items. 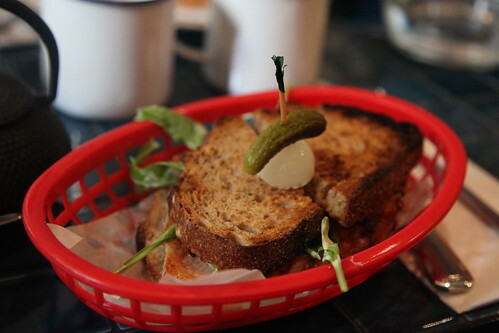 Good ol’ sandwich delights are dished up in retro plastic baskets toasted held together with toothpick pickle. 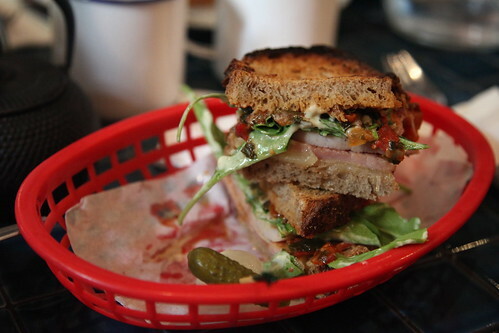 My fav is the berkshire ham sandwiched between toasted rye and juicy with machego and rocket. Toasty and dripping with tomato and red pepper chutney. The others munch on the NOT reuben filled with wagyu salt brisket and the slightly usual suspects of pickled slaw, machego and horseradish. 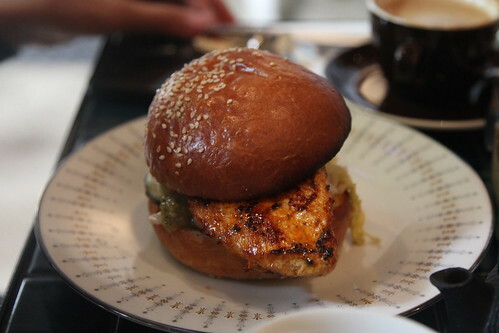 The boys munch on the Dirty Bird; a spiced grilled chicken on fluffy brioche and stacked with plenty of aioli, cheese and pickles. The Dirty Birds are on the smaller side for the appetite of hungry boys but only for the better to allow space for sugary delights. 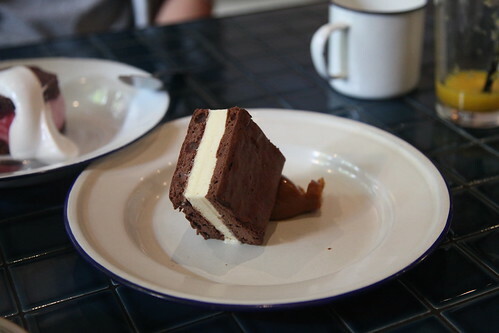 A sucker for a ice cream sandwiches, both delights were a hot favourite. Think melting marshmallow fluff, chewy biscuit toasts and incredibly, addictive salty caramel. Both same same but different. 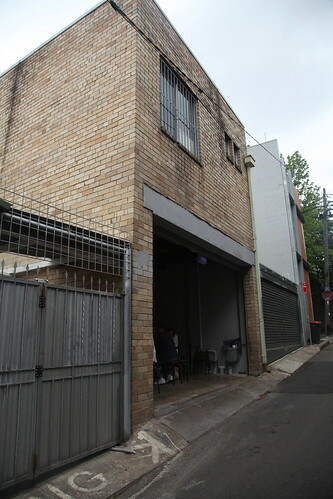 A great addition to the alleyways of Surry Hills. 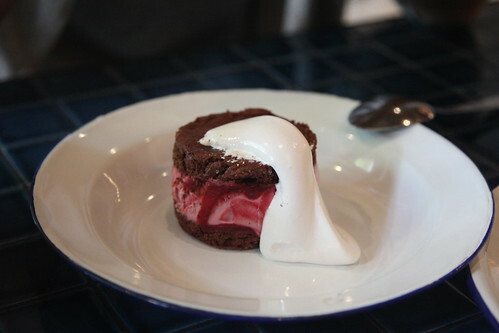 Just don’t forget to BYO a bib for dripping burger juices and the extra stomach for dessert. 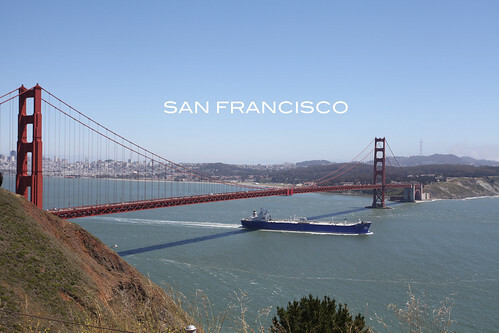 Laid back and chilled; San Francisco is home of the food trucks, take-away, the Golden Gate Bridge and picturesque “Full House” homes. There’s plenty of character, friendly places and the most amazing views of the city from it’s crazy topsy turvy roads. After hitting a long weekend of partying in Vegas, it was nice to lay back, catch up on sleep before we hit the road again to NYC. 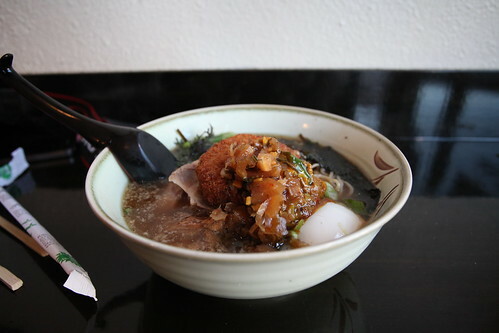 Staying in Japantown was an interesting part of town and quite convenient to head up to Mission, SOMA and the Bay area. A car is highly recommended to fully soak in the sights and for food truck hunting! 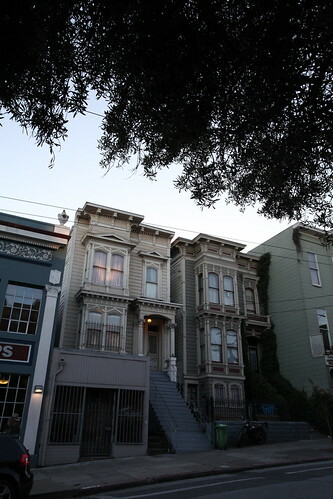 Our first night lead us to SOMA, a pretty hip and happenin’ part of town when the sun sets. We hide from the outrageous wind and cold (even in the Summer..) in TwentyFive Lusk. Decked with fireplaces, bare timbers and candle lights; it looks as warm as it is. 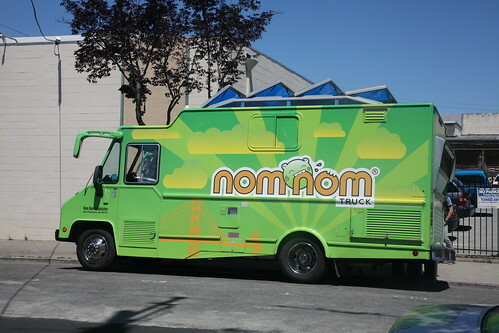 Food trucking is the way to go in San Francisco. 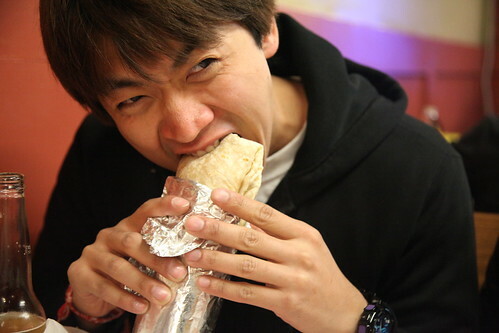 It’s embedded into the culture and the chase of hunting one down in time, gets any food blogger into an natural high. Get geared up with napkins, picnic blankets and bibs as there’s a huge variety from burgers, burritos, rice, cupcakes and even, ramen. Roaming Hunger was one of my favourite sites to follow where they conveniently collate all the Twitter feeds into one. 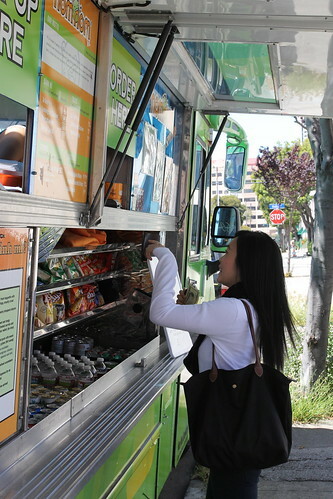 Our first find had our knickers in a knot as we’re huge fans of The Great Food Truck Race – a reality TV show that showcased a number of food trucks in challenges across the US. 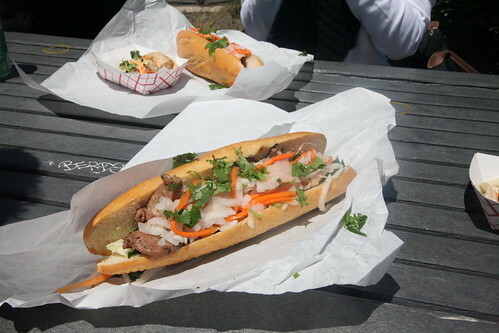 The Nom Nom Truck took the good ol’ banh mi on the road and came up in 2nd place. 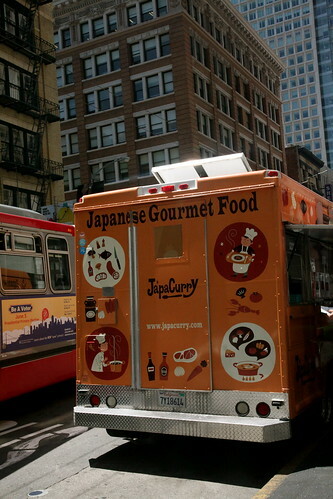 Japacurry was hot on our radar as we have been craving a bowl of rice since LA. With queues around the corner, the katsu curry, teriyaki chicken and bento boxes sell out within minutes. 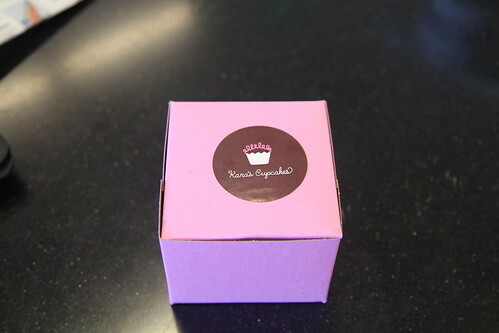 On the sweeter side of the food trucking business, Cupcake Wars‘ winner, Kara has an abundance of sweets. 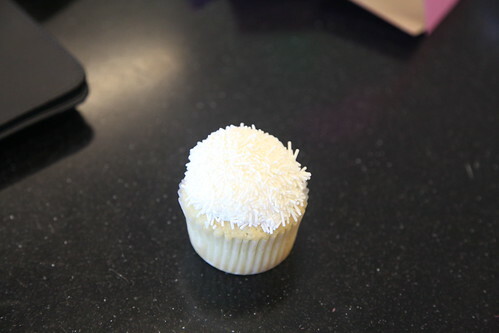 One of my favourites is the good ol’ vanilla which is soft as clouds with just enough frosting and sprinkles. What I love about San Fran is the love for food collaboration in its culture; with food truck meet ups (over 25 in one spot!) and local restaurants that close up on a night kindly offer their kitchens to food truckers to come in and take over. After an expensive walk into a snowboard shop, we stumbled into Wild Wings that food truck Haparamen took the night’s reigns of. Delish! 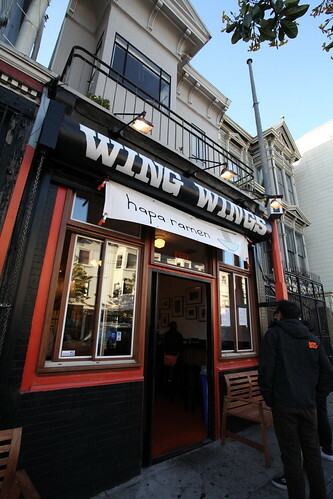 There’s also a craze with chicken & waffles. 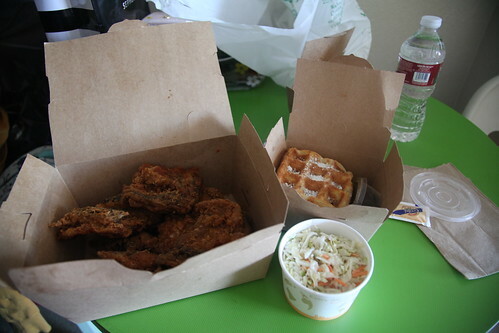 Absolutely as straight forward as it sounds, it is just, plain fried chicken with waffles on the side. 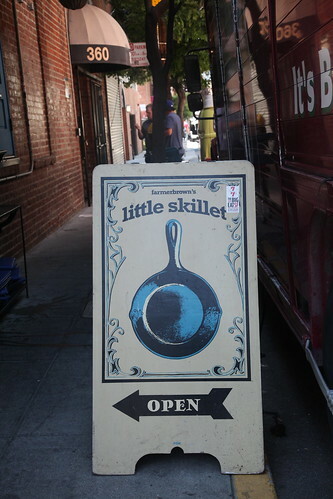 Madly searching, we ended back in the back alleyways of SOMA at Little Skillet for a oily fry up that lead us all into a 3 hour food coma. 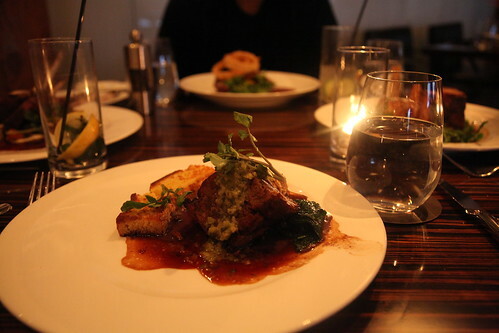 Our love affair with Tom Colicchio’s never-ending restaurants continued on in SF. 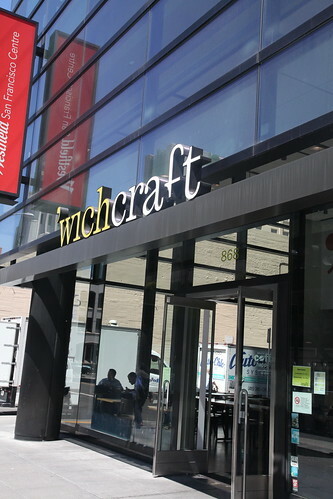 There’s a huge trend and success for top-end restaurants to open up a sandwich joint, so ‘wichcraft was no brainer. Good ol’ sandwiches (they call burgers, sandwiches) with a pick me up coffee and bag of crisps. 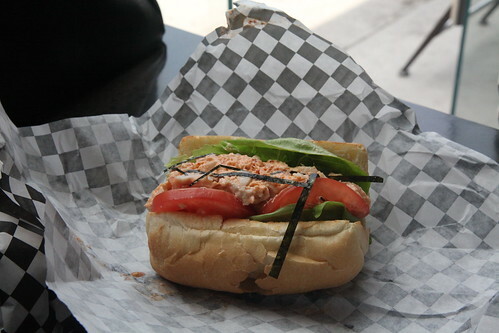 And when in doubt, hit up Mission St for some street style tucker. Yelp! 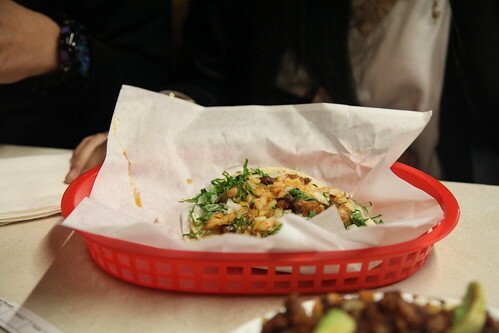 led us to El Farolito, and keeping the appearances aside, the queues go out the door serving up fat burritos, overflowing tacos and nachos. 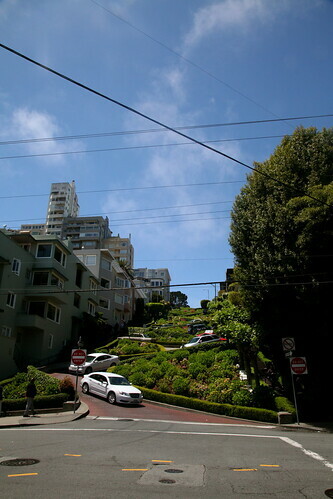 While in San Fran, don’t forget to pay a visit to the windiest street in the world, Lombard St! 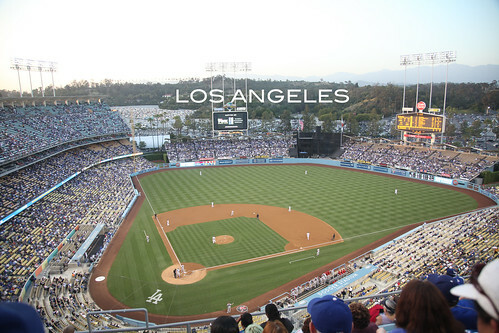 The first stop on our trip is the starry-eyed Los Angeles – but staying on Hollywood Boulevard, it’s filled with drama from seeing the entire road closed for red carpet events at the Chinese Grauman Theatre, to Jimmy Kimmel’s studio, Hollywood’s Walk of Fame, Madam Tussauds and plenty of H&M, AA and Sephora to keep the pockets empty. Staying in The Hollywood Roosevelt was definitely worth the pennies to be apart of all the touristy action. 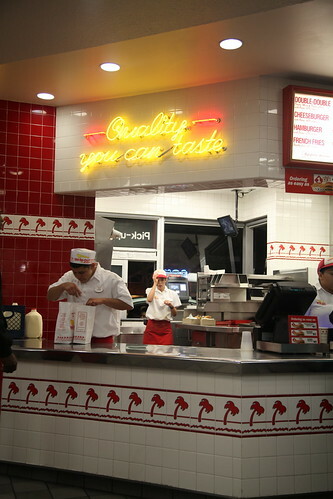 It’s been a highly hyped up lifetime to try In-n-Out Burger, but surprisingly I was well let down. The old school diner opens 24 hours matched with a menu that is simple with only three options and at $3.55 you can’t go hungry. 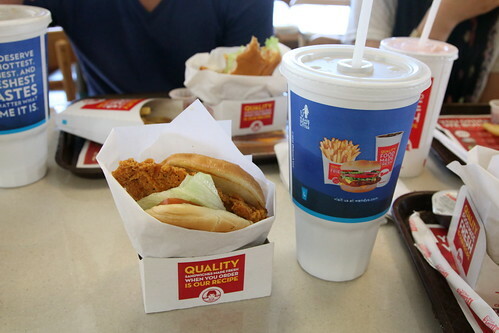 This would feed you with a decent sized burger, fries a plenty and bottomless soda. If this was a burger battle in LA, I’d choose Wendy’s, another diner contender who is only a few quarters more, but with burgers tasting fresher and much more flavoursome. 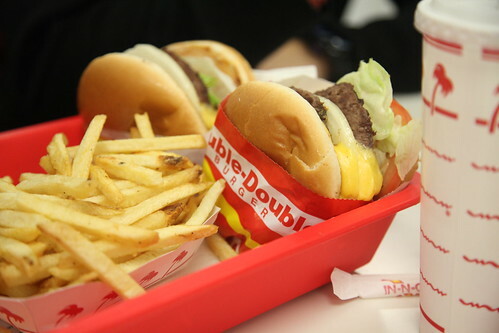 You’ll come to find that In-n-Out, Wendy’s, Mel’s Drive In and Dendy’s dominate the fast food market over here than McDonald’s and KFC. For other quick and dirty eats, Buffalo Wild Wings was the way to go for baskets of sticky wings with over 20 sauces to choose from. 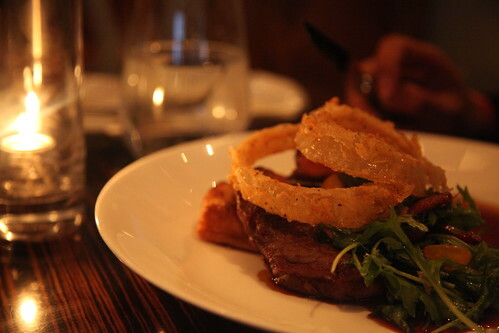 And the US do onion rings real good here, so stock yourself up with a huge basket with ranch sauce. 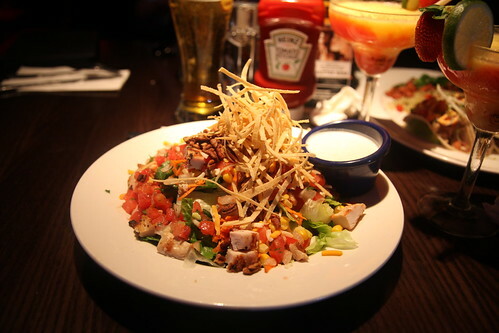 Staying on Hollywood Boulevard, we couldn’t help but go pass a super douper Haystack Salad and cocktails at the Hard Rock Cafe. 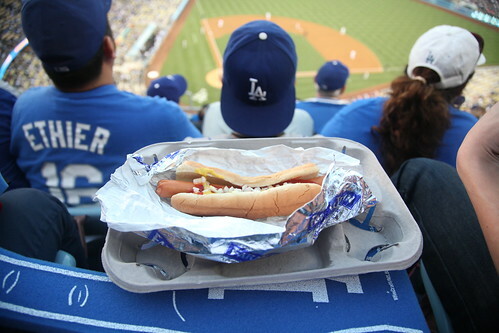 If it’s heading into the Summer, soak up the sports culture by checking out a game at the Dodgers Stadium to score a Dodgers hotdog and salty pretzel. 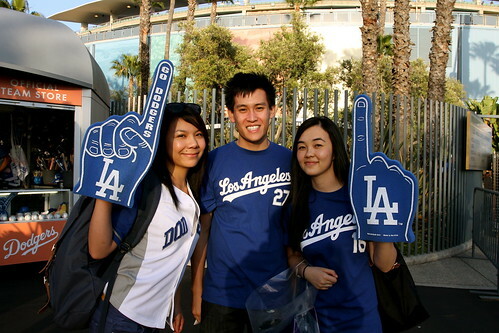 There’s plenty more to fill up on with nachos, huuuuge pizzas and plenty of peanuts. 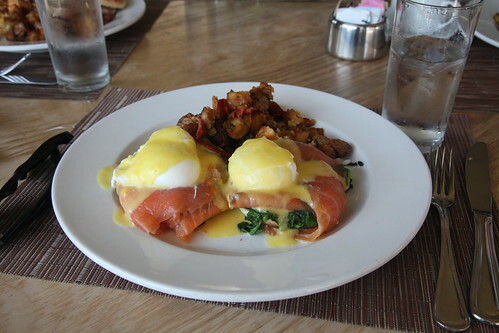 In preparation for a day of outlet shopping, we brunched up at BLD. Sadly the eggs in the US are not as good as Aussie chooks, so be super appreciative with what we have! 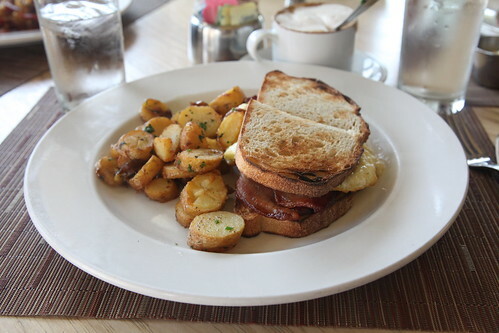 BLD dishes up for all times of the day with some mean brunch options. 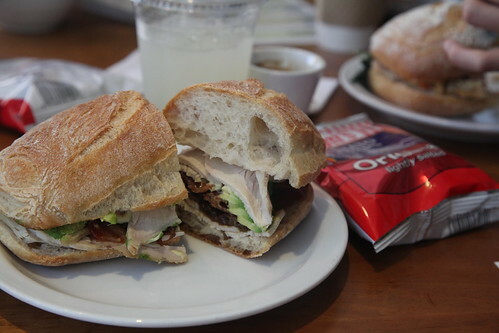 Being a sucker for TopChef, a road trip to Melrose Ave was in order to find Michael Voltaggio’s (Season 6 winner) restaurant and sandwich joint. 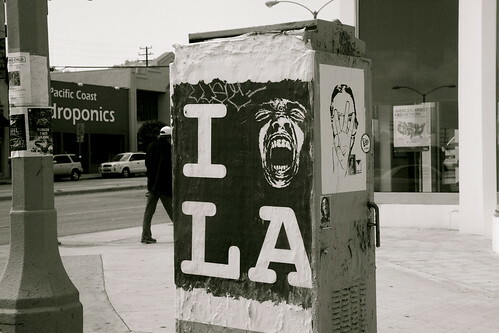 ink.sack is amongst the field of Marc Jacobs stores, Tokidoki, Kid Robot and Johnny Cupcakes. 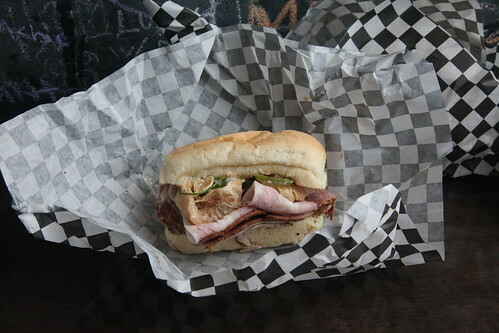 Get yourself a mean banh mi (yes, with pork rinds inside…), iced coffee and bag of bbq pork rinds to go. 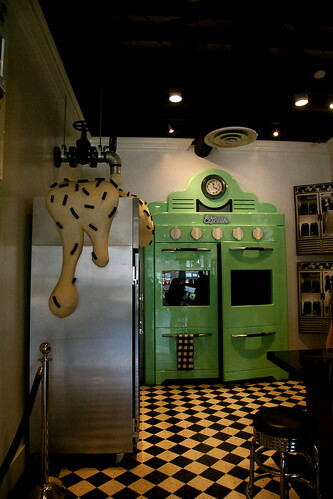 Plus, a must visit for cupcake lovers is Johnny’s Cupcakes. Surprisingly nothing to do with cupcakes but all his merchandise in his bakery decked out store. 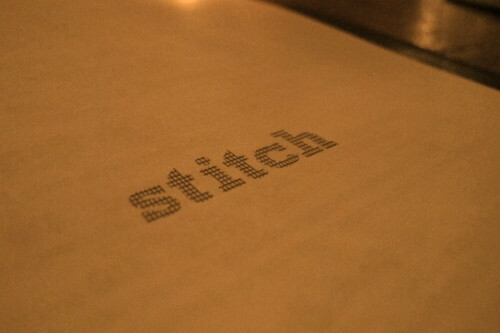 Cleverly concealed underneath the hustle and bustle of the concrete jungle of Sydney’s CBD, Stitch is our first stop on the cocktail trail. 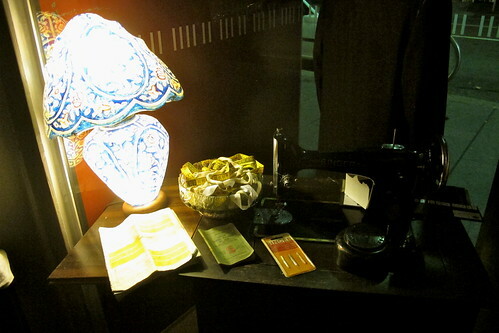 From the outside, it could easily be missed as the dry cleaners with business shirts hanging, an old Singer machine and plentiful of yarns and threads. 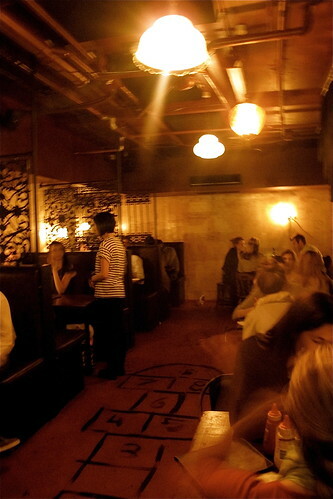 Push through the old wooden doors and follow the grand stairs to the bar that meets you at the bottom. 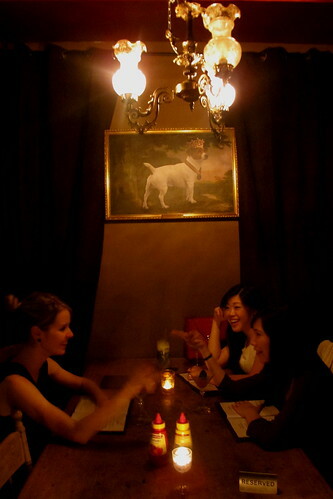 Stitch’s interior is quirky chic with dimly lit intimate little booths and private areas for groups. The no bookings policy means we’re left to eagle eye all the diners like prey and prepare to pounce on them as they begin to leave. First things first, food is on the agenda – and for once, it’s not the “tease your tastebuds” tapas to share but solid hearty dishes of hot dogs, burgers, potato chunks and curly fries. 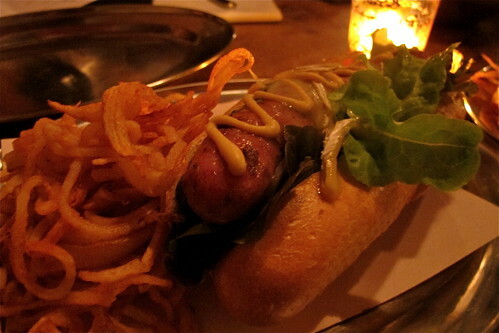 The French Poodle sounds ever intriguing with a Toulouse styled sausage (French, pork & smoked bacon) flavoured with red wine and garlic topped with brie, pickled pear and dijon mustard. 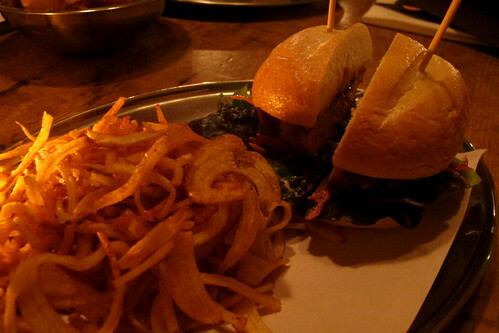 The Pork Burger also catches my eye, with BBQ pork with the usual burger suspects of carrot, cabbage, slaw and homemade spicy BBQ sauce – simple but oh so delicious. And not to forget the mountains of curly fries. The cocktails were a hit and miss, my Pineapple Head was a delicious mix of rum and citrus flavours, whereas my fellow girls didn’t quite enjoy their overwhelming cocktails. Though if you like them straight up, here’s the place to go. Perfect bar for a catch up after work with “hit me up I need a serious drink” attitude. This is probably old news by now, but in the food world, as soon as word spread that Justin North had opened up a burger joint in the new Westfields, lines snaked around the foodcourt, all eagerly waiting for a try. 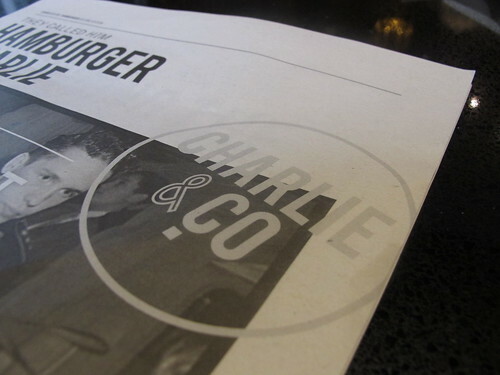 To see what all the fuss was about, we got in super early and choose our burger delights. 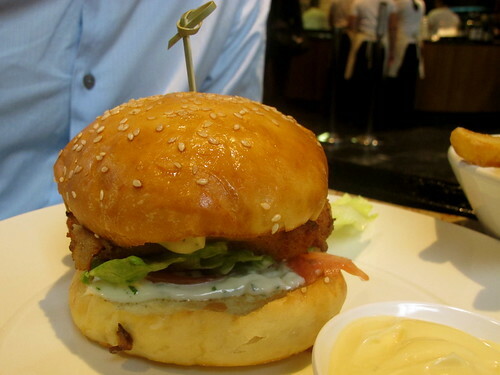 My foodie companion choose the Fried Chicken burger, with all the good ol’ classics of chicken, tomato, iceberg lettuce topped with herb garlic mayonnaise. 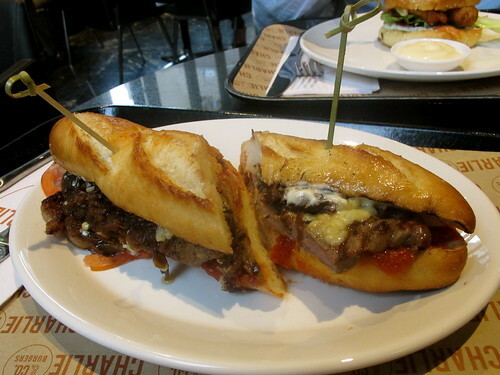 Feeling a little iron deficient, I opted for the New Yorker, a baguette filled with grilled sirloin, onion, melted cheddar cheese with a spiced tomato relish, which was perfectly cooked but would have had the cherry on top if the baguette was warm and toasty. But unfortunately the chicken burger was very disappointing, with the chicken being pink and undercooked. Also, there was a very generous side of chips and aioli but were sadly these were overcooked and oily – perhaps, french fries would have done the trick. 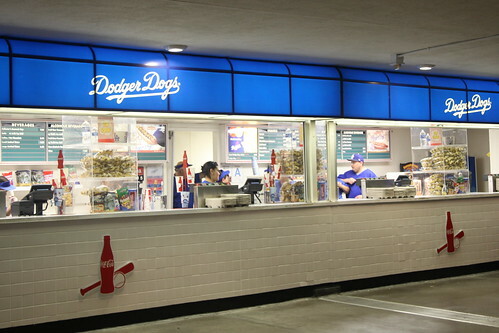 Hopefully our burgers are better next time!